OC Register's Featured Employer - Tait & Associates, Inc. 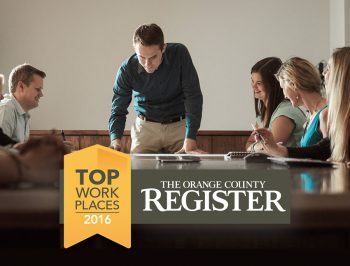 The OC Register featured TAIT in a recent Oct 8th, 2017 article headlining our Top Work Place ranking, and we are thankful for this great spotlight. 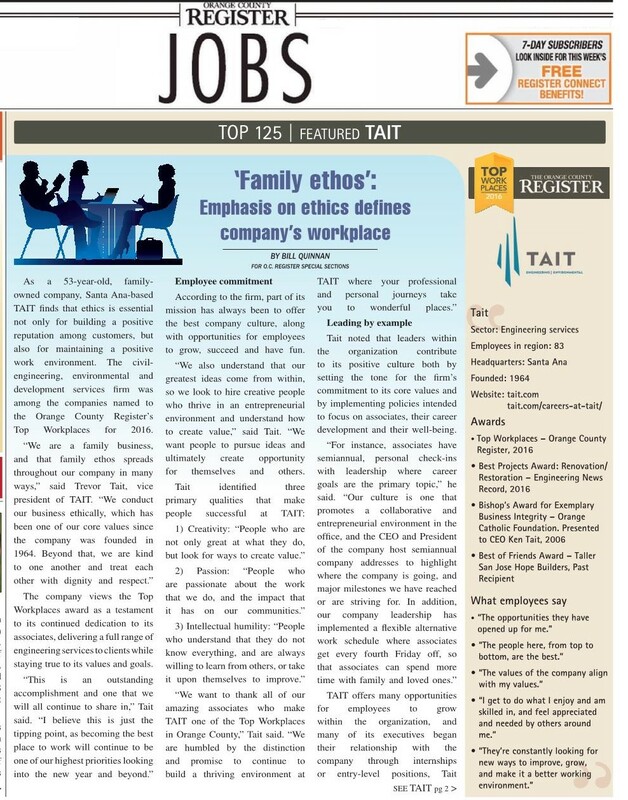 On the front page of its “Jobs” section, the newspaper spot details our efforts to provide an enriching work-life balance for our associates, who are the heart of our company. Trevor Tait, Vice President, said in the interview with OC Register, “We invest heavily in our people, who in turn develop into outstanding creative professionals.” See below for the article displayed in full. Thank you for featuring us, OC Register!